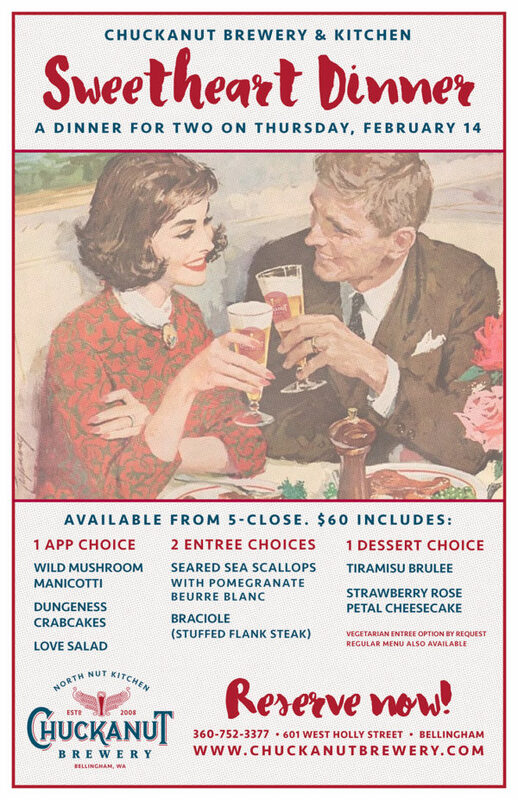 Back by popular demand we will once again offer a Sweetheart Dinner Prix Fix. 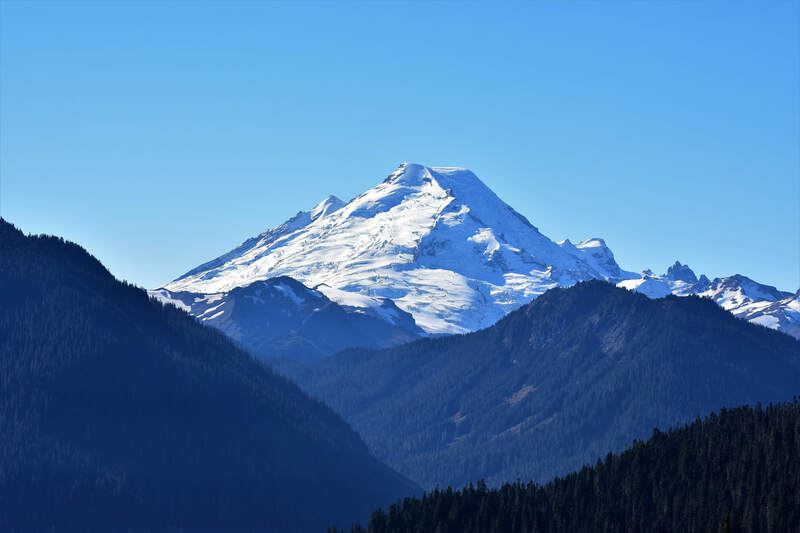 Bring your valentine to Chuckanut Brewery & Kitchen in Bellingham on Thursday, February 14 and enjoy a fabulous romantic dinner. Start the evening sharing your choice of one appetizer, continue with two entrees of choice and finish by sharing a dessert. This enjoyable set menu is $60, reservations are highly recommended. Beer suggestions for each course will be listed on the special menu for those interested in enjoying a different beer with each course. Our regular menu is also available. Call 360-752-3377 option 1 to reserve your table! Looking for some new beers to try? We've got a few you will definitely want to check out. 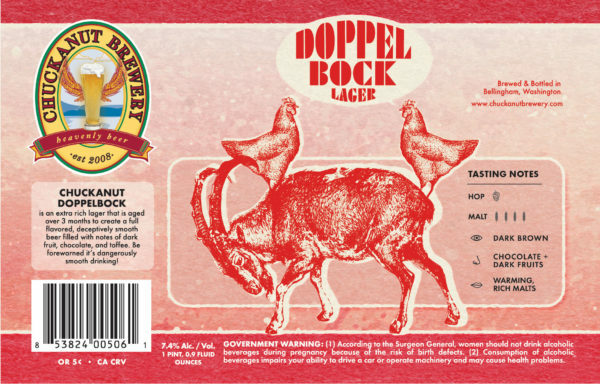 Doppelbock as usual will be on tap and in bottles on Valentine's Day (double Bock, get it?). This double rich Bock if full of dark fruits and malty flavors. To celebrate Overflow Taps' anniversary we created Lynden Lager (the first place opened in Lynden, the second in Bellingham and both are big supporters of craft beer). It's a very light lager that's easy to drink and enjoy in multiples! Our Oatmeal Stout is dark and malty and surprisingly easy to drink. All of these great beers are worth a visit to try out and maybe take home a growler fill while you're at it! Bottles to Go: Kolsch, Baltic Porter, Vienna Lager, Dunkel Lager, Alt & Bock, Available at Both Locations! Get your Party Kegs at either location too! There's lots to find that's new at the Kitchen this month. Our February curried butternut squash soup with coconut milk is just the thing to warm you up on a cold winter day. Have you tried the house made ancient grain burger, it's way better than those pre-made veggie burgers. And then again the Schnitzel and fettucine alfredo are great entree options if you're hungry. Don't forget to indulge in our Cajun yam wedges as an appetizer next time you're in! Or have them for a snack with your pint, they'll hit the spot! This year we started the Port of Trivia at our South Nut Tap Room across from the Skagit airport and it's beginning to take off! 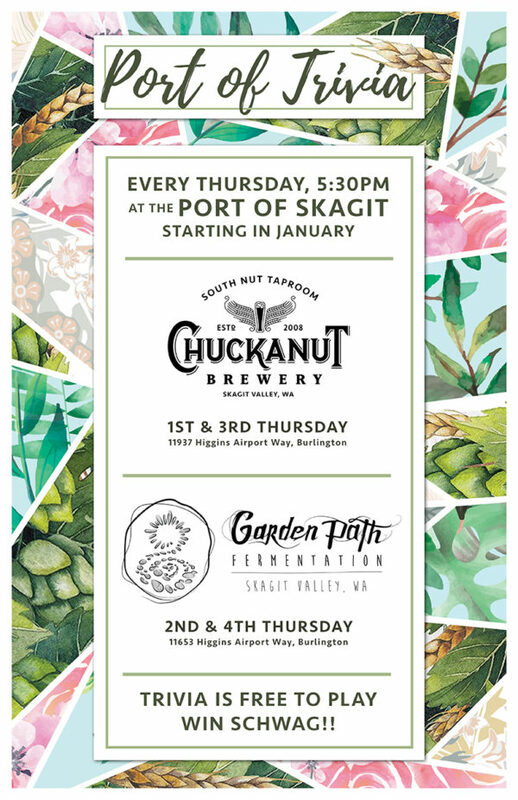 The first four Thursdays of each month Trivia will happen at the Port of Skagit. The first and third Thursdays we'll have trivia and every Thursday we'll have Moon Rocket Pizza food truck at our location. The second and fourth Thursdays our buddies at Garden Path will host Trivia. It's free and you can win schwag and certificates! Starts at 5:30 with no sign up needed!